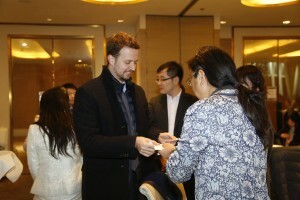 On 19 January 2017, SESEC hosted its annual appreciation reception with the stakeholders in Beijing to show gratitude to the local standardization community. 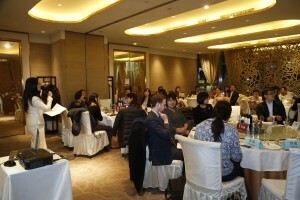 Representatives from the Trade Section of the EU Delegation in China, as well as officials from Certification and Accreditation Administration (CNCA), Standardization Administration of the PRC (SAC), Ministry of Industry and Information Technology (MIIT) were invited to attend the event. 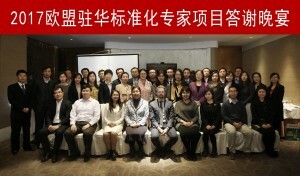 Standardizers from scientific research institutions and representatives from European industries in China also participated in the event. Dr. Betty Xu, the director of SESEC, introduced the progress and achievements of SESEC in 2016. In 2017, SESEC will continue to push for an in-depth cooperation in standardization, in order to promote a sustainable and healthy development between EU and China. Representatives of the EU delegation and the officials of the CNCA delivered speeches on China-EU standardization cooperation. The reception enhanced the communication between EU and China in standardization, and laid the foundation for win-win cooperation and paved the way for the further development of SESEC.